Rum production operates under different rules depending on the country. Unfortunately, some are laxer than others. Not Venezuelan. Quite the opposite, explains Gilberto Briceño, Master Distiller for Rum Diplomático, which lies at the foot of the Andes Mountains. Government agents oversee firsthand much of the production in Venezuelan. They are very present in the distilleries. After rum is set down to age, these barrels are sealed with government labels. Law requires two years before the seal can be broken, and only after distillers receive government approval to sample from their own barrel stock. It can be a bit much, admits Briceño. But this also goes a long way towards solidifying consumer trust towards Venezuelan rum. And the premium rum category overall requires this trust to lure more Americans away from whiskey and other sippers. Briceño believes that the current craft boom will help expand Americans’ trust, knowledge and palate for genuine, premium rum. “Once there are more rum brands in the market, it’ll be easier for consumers to differentiate between what is real versus what is nice packaging,” he during a recent Rum Diplomático tasting held in Manhattan. 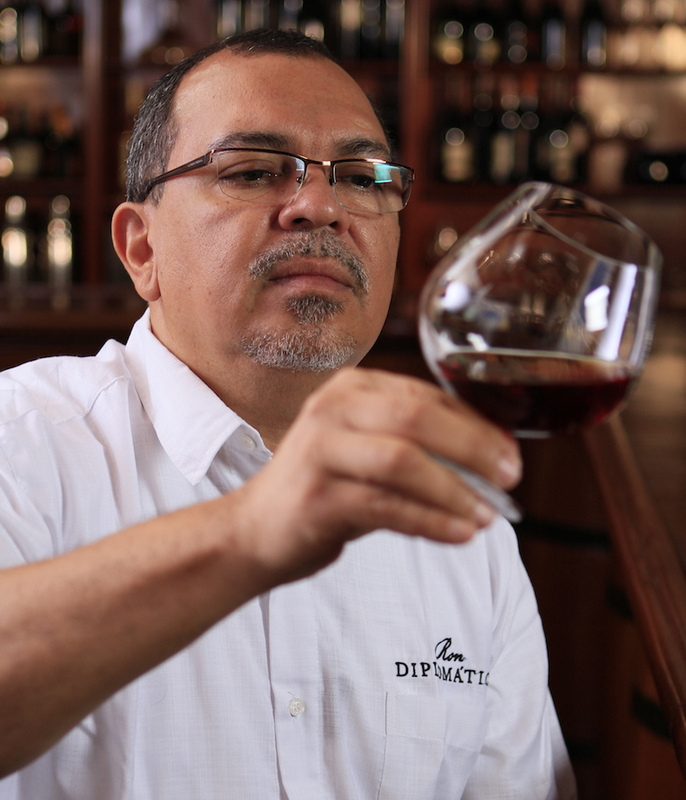 Gilberto Briceño, Master Distiller for Rum Diplomático. 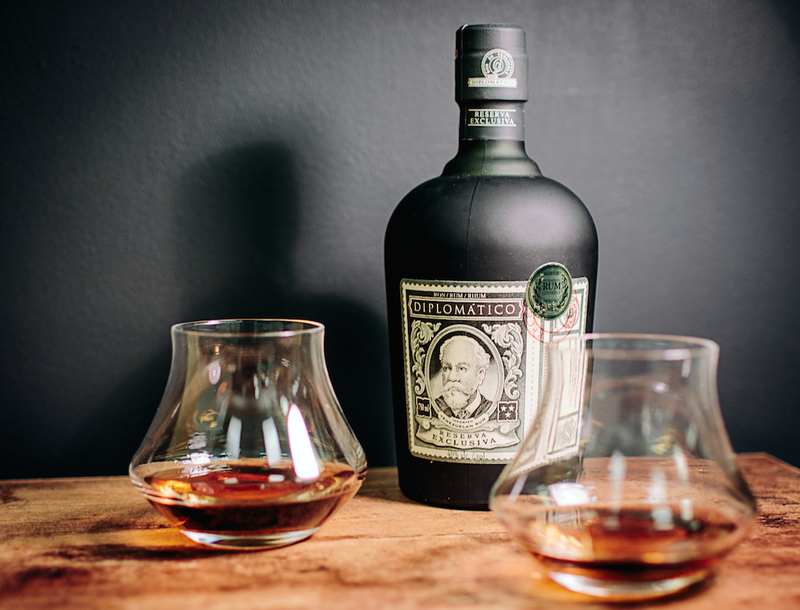 Diplomático’s line of premium rums is the stuff of craft cocktails and top-shelf sippers. The company makes rum with three stills, each installed decades ago by Seagram’s, which founded and once owned the distillery. This production line includes 150-year-old, three-part copper pot stills, formerly of a scotch distillery. Diplomático uses these for more-complex rums, rather than the traditional alembic still. The distillery also runs a continuous column for light rums, and a batch kettle for medium-bodied rums. All Diplomático rums are aged for four years minimum, twice Venezuelan’s legal minimum. (The country also mandates that its rum originate from Venezuelan sugar cane, and go into bottles between 40-50% ABV.) All Diplomático products are also blended. Some Americans think of “blended” as a pejorative, meaning “cheaper” or “less pure.” Thankfully, this attitude seems to be on the decline as the craft movement grows. Diplomático makes six rums. Their white Blanco Reserva (SRP: $29 per 750-ml. bottle) is a 50/50 blend of light and heavy rums aged 6 years on average. Filtration and charcoal-treatment creates the bright transparency, plus softness upon the palate. The standard Diplomático is the Añejo ($15), golden in color, containing rums an average of four years old. Next is the Reserva ($24), rich, smooth and sweet, an average of 8 years old. The Reserva Exclusiva ($39.99) is even thicker and more liqueur-like. It’s a savory sipper well balanced between sweet and fruit flavors. Diplomático’s flagship, Exclusiva contains rums up to 12 years old, and comprises 80% of the company’s sales. The Diplomático Prestige line includes two limited-edition selections. The latest from their Single Vintage line is the 2002 ($85), a 100%-pot still spirit, with rums aged up to 12 years and finished in sherry casks. Only 45,000 bottles are produced each year. Besides the expected thick sweet fruity flavors, there’s a pleasant brininess that almost masks the alcohol. Diplomático Ambassador ($200) is also 100% pot still, aged in ex-bourbon barrels and finished in Pedro Ximénez sherry casks. Only 5,000 bottles are made annually. It boasts a big, rich, fruity bouquet of flavors — raisins, bananas, caramel, and cinnamon spice — more than enough for any connoisseur to explore. Briceño believes more will, as whiskey drinkers increasingly gain interest towards rum.